At Whitehaven every day is special when you are surrounded by likeminded people, good food and warm familiar surrounds. Beautiful tranquil grounds, delicious meals and professional friendly support around the clock illustrate some of the ways in which our residents enjoy a truly elegant experience. We offer our permanent residents and guests the very best the industry has to offer in supporting you in a home-like environment with all the luxuries of a 5 star hotel. Whitehaven offer a range of Single, King Single and Luxury Double Suites, complete with personal sitting room, private ensuite and garden outlook, the choice is yours. With a dietician approved menu and only the very best in local fresh produce everything down to our dining, is an experience aligned with luxury. For those in our community who are looking for a little additional support, socialisation and the desire to indulge. 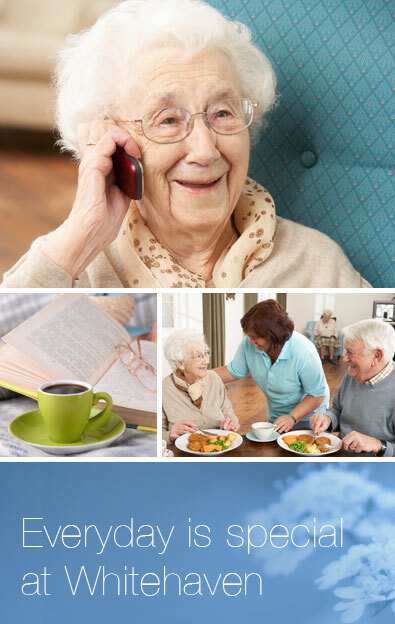 We have what you need, to feel confident that you are cared for by the very best.